Reprinted from Douglas Messerli, ed. "Language" Poetries: An Anthology (New York: New Directions, 1987). In a decade in which so many poets and critics have expressed dismay over an ever-shrinking audience for contemporary poetry and have decried what they see as a decline in the cultural and political vitality of poetry and poetics, we have also witnessed something else: an almost meteoric rise in the publications and readership of the poets associated with what has come to be called "Language" writing, and an equal rise in the critical attention paid to them. Since 1976 [until the date of this essay, 1987], poets associated in one way or another with this group have published over 150 books of poetry and criticism--demonstrating a resourcefulness and energetic rethinking of the nature of poetry both in social and aesthetic terms. Such an output would be astonishing in any literary period, but is nearly miraculous in light of the doomsayers' predictions of the death of poetry as we know it. Admittedly, the readership for many of these publications is small, sometimes verging on the coterie. But dozens of these books here reached a larger audience, and several of these poets can find their works in bookshops from Boise, Idaho to Coral Gables, Florida, and in classrooms from the University of Maine to the University of Alabama. And as a publisher of and poet associated with this group, I have increasingly encountered general readers, students, and professors who, cornering me, ask: "But tell us, what is 'Language' poetry?" That question, whether friendly or hostile, delivers to the muscles of my back and shoulders a slight flinch. How much it presumes!--that there is a single definition or a unified complex of ideas which applies to "Language" poetry, and underlying that assumption, that there is an identifiable group of poets who can be described as writing whatever one defines "Language" writing as being. It may be tempting to begin an answer to such a question by taking the familiar historical approach and describing certain general influences and sources of several "Language" poets. Certainly the work of Gertrude Stein and the writings of the Russian Futurists and zaum poets like Velimir Khlebnikov and Alexei Kruchenykh immediately come to mind as touchstones for the work of "Language" writers as diverse as Charles Bernstein, Peter Inman, Bruce Andrews, Barrett Watten, Hannah Weiner, and Lyn Hejinian. But other than recognizing that Stein and the Futurists grounded their work in the notion of language as the engenderer of experience and often structured their poetry in terms of a linguistic play of words and ideas, this history really doesn't tell us much. If we probe any further, we find that, while for some "Language" poets (Susan Howe, for example) a major figure may be Emily Dickinson, others (such as Bernstein) may claim models in the poetry of Robert Creeley, Louis Zukofsky, and Thomas Campion! Add to this the fact that for the "Language" poets in general major sources of inspiration have been found in politics and social theory, philosophy, psychology, painting and sculpture, film, and dance, and one perceives that any definition by association becomes ridiculous. Encyclopedic in their interests, these poets are likely to be as "influenced" by the work of their peers and cultural events as by any one "literary" tradition. Still, quite naturally, one seeks a shared aesthetic, a body of ideas about poetry and poetics that has shaped these far-embracing poets into a group of sorts in the 1970s and 1980s. And certainly there are values and attitudes toward poetry that these poets share. These poets have all foregrounded language itself as the project of their writing. For these writers, language is not something that explains or translates experience, but is the source of experience. Language is perception, thought itself; and in that context the poems of these writers do not function as "frames" of experience or brief narrative summaries of ideas or emotions as they do for many current poets. Communication, as Bernstein writes, is seen not as a "two-way wire with the message shuttling back and forth in blissful ignorance of the (its) transom (read: ideology)," but as "a sound of language from the inside, in which the dwelling is already / always given" [Bernstein, "Language Sampler," Paris Review, No. 86 (Winter 1982), 75]. What I call "Portmanteau poetry"--poetry that, revealing its message to the reader, is used up and closed until the reader again seeks such feelings or knowledge--is rejected in favor of the production of a living document of the author's engagement with the reader and the world through language as the agent of their shared thinking. The poem, accordingly, exists, as Bernstein has observed, "in a matrix of social and historical relations that are more significant to the formation of an individual text than any personal qualities of the life or voice of an author" [Bernstein, "An Interview with Tom Beckett," Content's Dream: Essays 1975-1984 (Los Angeles: Sun & Moon Press, 1986), p. 408]. While these writers thus participate in the climate of the poetics of Charles Olson's' process-oriented writing ("one perception must must must MOVE, INSTANTER, ON ANOTHER!") [Charles Olson, "Projective Verse," in Donald M. Allen and Warren Tallman, eds. The Poetics of the New American Poetry (New York: Grove Press, 1973), p. 149] and the disjunctive procedures of the poets associated with the New York School, they have eschewed the myth-making and personalization of poetry practiced by these and other modern poets. Writing, rather, becomes for most of them a political action in which the reader is not required merely to read or listen to the poem but is asked to participate with the poet/poem in bringing meaning to the community at large. As Craig Watson has concluded, such writing serves as "a performance in which the reader is both audience and performer" [Craig Watson, "The Project of Language," Credences, III (Fall 1985), 160]. The demand that the reader function less as a sounding board than sound with the poet upon and inside the poem, requires, in turn, a new kind of reading. The poets of which I am speaking ask for a reading in which meaning, whether understood as a curative or entertainment, is not self-contained like a cold capsule or jellybean, but is inseparable from the language in process--the transformation of phoneme into word, the association of one word to the next, the slip of phrase against phrase, the forward movement and reversal of the sentence--the way one experiences life itself. Beyond these generalizations, however, these poets and their works resist categorization as to how and what specifically the language means. Surely one might expect to find that Charles Bernstein and Bruce Andrews, the co-editors of L=A=N=G=U=A=G=E--the magazine that helped to name this "movement"--share basic notions about how language functions in their work. And in fact there are a great many ideas shared by the two poets. Bernstein argues, for example, that such writing, "rather than making the language as transparent as possible," moves toward denseness and opacity in order to "actually map the fullness of thought and its movement" [Bernstein, "Thought's Measure," Content's Dream, p. 70]. One recognizes a similar position in Bruce Andrews' call for a poetry in which signifiers "provide echoes, harmonies, overtones, but not the principles of organization"; for a "...confusion of realms, profusion of events and interplay on the surface"; for a poetry in which the "subject" disappears "behind the words only to emerge in front, or inside them" [Bruce Andrews, "Text and Context," The L=A=N=G=U=A=G=E Book (Carbondale: Southern Illinois University Press, 1984), pp. 31-38]. Both Andrews and Bernstein work for a poetry that, while mapping consciousness, does not appear as a "trace" (Bernstein) of the self upon the text or an individual "ownership" (Andrews) of the text. Instead, the poem is understood as a social "work for the reader's...projection/construction' [Bernstein, "Writing and Method," Content's Dream, p. 233]: "Language work," writes Andrews, "resembles a creation of a community and of a world-view by a once divided-but-now-fused Reader and Writer" [Andrews, "Text and Context," p. 35]. allows the formal requirements of clarity and exposition to drop away. To speak intimately is to be free to speak as one will, not as one should. Confusion, contradiction, obsessiveness, associative reasoning, etc., are given free(er) play. A semblance of coherence--or strength or control--drops away. In contrast to this, or taking the idea further, the private can also seem to be the incommunicable. As if I had these private sensations (or thoughts or feelings) that no one can truly know as I know them. Indeed, Bernstein argues that this concept of the incommunicable is illusory because "language itself is communality, a public domain." What this foregrounding of the private actually does, he posits, is to reveal the public. Andrews, on the other hand, believes that "a hollowing out of lower depths" and "labyrinthine caves of signification" can occur "within the gaps." Nonetheless, Andrews' search to discover "How communal can you get?" leads his poetry and theory in a very different direction than Bernstein's call for a dramatization of a "far-inness" [Bernstein, "Three of Four Things I Know About Him," Content's Dream, p. 29]. There is behind most of Andrews' writing a brilliantly aphoristic voice, a showing of the way--as labyrinthine or "far-out" as that path may be--as opposed to a more ruminative and sophistical one (in the sense of arguing publicly for a kind of private logic) manifested in much of Bernstein's writing. Thus while they may share the social project of foregrounding language as the medium of consciousness, Andrews and Bernstein create very different kinds of poetries which may begin with similar premises but produce quite different results. Similar distinctions might be made between the poetry and poetics of the co-editors of the San Francisco-based Poetics Journal, Barrett Watten and Lyn Hejinian. In his book of criticism Total Syntax, Watten argues less for a particular aesthetic point of view than for a "discussion of writing that leads to what can be done." Accordingly, Watten's essays do not focus on the poet's ideas or psychology but on presenting a variety of ways in which twentieth-century authors and artists--with whom Watten and, by extension, his audience feel some sympathy--have dealt with such problems as method, style, technique, and social scale. The self of Watten's criticism (much as he describes in his essay on "The Poetics of Poetry" the two techniques used by the contributors to L=A=N=G=U=A=G=E magazine) is mediated by "the common sense functionalism of a professional role" (in Watten's case, this is expressed in his summaries of literary history) and by an "exploded self," a self that is subsumed in the language and theory he treats. And in this sense, there is a presumptive quality--in the best sense of the meaning--in most of Watten's critical writing; as a "kind of thinking...done in front of a community of writers" [Watten, Total Syntax (Carbondale: Southern Illinois University Press, 1985), p. ix] Watten's critical pieces presume and solicit a certain range of shared values. Thus, a side-by-side presentation of two different approaches can itself function as a pointing; there is no need for an "explanation" that evaluates. Much like Andrews' horizontal presentation of information "with all the complications of a charter or a town meeting," Watten's criticism--often first presented as "talks"--finds its meaning not in a plumbing of the private self and its values but "within the gaps" filled in by the actively thinking community. This opening up of the signifying process directly affects his poetry, in that the structure of many of his works, as he notes in his essay "On Explanation," is based upon a method of laying out different techniques and ideas side by side. In "Artifacts," for example, Watten presents different languages "in terms of the essential conflicts within and between them' [Total Syntax, p. 222]. Thus, he contends, "various explanations on widely different scales interact, forcing language to a new scale of discourse that includes all the possible conflicts...." The "self" of this poem--as in many of Watten's poems--as the engenderer of the structure is given over to and "exploded" by the collision of forms through which language and meaning is reconstituted. 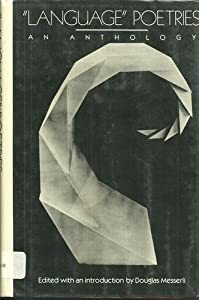 In "If Written Is Writing" (1978), Lyn Hejinian, Watten's co-editor, appears to share his notion of the "exploded" self: "In such are we obsessed by our own lives, which lives being now language, the emphasis has moved." And in a short piece, published one year later in L=A=N=G=U=A=G=E, Hejinian, paralleling Watten's thinking, writes of her interest in a structure of "putting things together in such a way as to enable them to coincide. ...Like the natural order elsewhere, things can't be seen in ones alone, make twos. Twos and more, too. I am interested in that" [Hejinian, "Smatter," L=A=N=G=U=A=G=E, No. 8 (June 1979), (17)]. For Hejinain, this coincidence produces a new relationship, which is at once the heart of communal sharing and a movement toward the centric; by giving up the self to language, one discovers in the language of the community a new self, a notion quite similar to Watten's "going away" to "return later." Yet, for Hejinian, there are different sources of centricities. For one, in which bibliography becomes text, "the writing emerges from within a pre-existent text of one's own devising or another's," in which "the process is composition rather than writing." We can trace this distinction to Gertrude Stein's "Composition as Explanation," in which Stein develops the idea that what is interesting to people in writing is not what is "inside" them but lies in what is seen, which, in turn, is dependent upon the community that determines the context. These ideas are very close to Watten's as expressed in the structure of his essays, in which evaluation does not emanate from the "inside," from the author, but from the listeners/viewers, who contextualize and (re)constitute the value of experience. But Hejinian also projects another source of centricity in writing that is, in fact, closer to Stein's and Hejinian's own work. In this other source, "one locates in the interior texture of such language as is the person composing from it, personal and inclusive." This is not necessarily "self-revelatory," she argues, but is built up through patterns of language, "relevant quirks," "concentration, condensation, deconstruction, and such as association by, for example, pun and etymology provide: an allusive pyscholinguism" ["If Written Is Writing," L=A=N=G=U=A=G=E Book, p.30]. Here, in fact, one perceives an aesthetic closer to Bernstein's "privacy" and "far-iness" than to Andrews' outward social horizon or Watten's compositional presentation of different languages. Again, a similar focus yields quite different results. While she uses programmatic procedures in several of her poems, Hejinian's poetry often presents a linguistic self so private that it forces the reader to enter the poem and (re)construct meaning. Even within a shared focus, one recognizes a bewildering variety of aesthetic possibilities, of methods to bring reader and writer through language to experience and reconstruct meaning together. When one further puts this in the context of several dozen writers actively involved over a span of more than a decade, the identity of "Language" writing itself is less a fixed point than an "exploded self." In short, as Charles Bernstein explains in an interview with Tom Beckett, "'Language' writing is not a movement in the traditional art sense, since the value of giving an aesthetic line such profile seems counterproductive to the inherent value of the work." It is to the social context, then, that one must turn to find any real coherence in this "group." Particularly in San Francisco, and to a somewhat lesser degree in New York and Washington, D.C., the "Language" poets--despite obvious differences in aesthetics--came together out of what Lyn Hejinian has called "motivated coincidence" to provide each other the dialogue and stimulus necessary to create vital and intelligent poetry. Through readings, discussions, seminars, personal friendships, and magazines (such as Tottel's, Hill, L=A=N=G=U=A=G=E, A Hundred Posters, This, Roof, The Difficulties, and Poetics Journal), they have built up a true community of thought that must be the desire of any poet not writing a hermetic verse for his or her eyes alone. Obviously, there are problems here as well. As Charles Bernstein has suggested in his essay "The Conspiracy of 'US,'" every "we" creates the danger that the "task" will be avoided by setting up "boundaries" that shield or insulate rather than challenge [Content's Dream, p. 344]. In every such group, moreover, there are those who would speak for the others, those who would define restrictions where previously there were none. A great danger--one now increasingly facing the "Language" poets--is that once identified with the group, individual poets can be classified--praised or dismissed--simply on the basis of their affiliation. Within the context of the aesthetic differences, this is a particularly disturbing phenomenon with which any "Language" poet must struggle. But despite these dilemmas, such social gathering has helped not only to gain an initial readership for the individual poets, but also to create an atmosphere in which thoughtful and serious writing, an emotional and powerful poetry, could be created. In truth, poetry "as we knew it" perhaps will not survive. A poetry that functions as a sort of narrative snapshot of experience by the poet who sees himself or herself, as Louis Simpson recently described his position, as a worker separated from ideas (the abstract), who creates a primary product (like a coalminer digging coal) which when brought to the surface represents "real" experience [based on comments by Louis Simpson, presented at the 11th Alabama Symposium on English and American Literature, collected in What Is a Poet?, Hank Lazar, editor (Tuscaloosa: University of Alabama, 1986] will find less and less of an audience in the new century. Perhaps it does take a community of concerned thinkers to keep poetry/language alive as the substance of experience, of meaning. The essay above was written as an introduction for the anthology I edited, "Language" Poetries, published by New Directions. That anthology and surrounding events contributed, over a period of years, to the end of various "Language" groups. As a writer/editor in Washington, D.C., and, in later years, commuting to Philadelphia, I became involved with "Language" writing first through attending a reading in Washington by Charles Bernstein which changed my own writing, and later by participating in a discussion/reading group with poets such as Diane Ward, Joan Retallack, Peter Inman, and Tina Darragh. Soon after deep friendships with Bruce Andrews and Charles Bernstein evolved. Over the years, as I began to write more and more poetry myself, I also developed relationships with James Sherry, Ted Greenwald, Ray DiPalma, and Hannah Weiner; and the earliest books of poetry I published in my Sun & Moon series were books by these authors. At the time I felt--and I believe others felt similarly--that this was not a tightly knit group, but rather a loose gathering of poets who shared some basic interests in and approaches to contemporary poetry. Moreover, many of these poets had themselves experienced the negative effects of ostracization from the New York School poets centered around St. Mark's Church. We heard rumors, however, of a tighter grouping of the poets in San Francisco, and it now seems, in retrospect, that many of Bernstein's warnings expressed in his "The Conspiracy of US" should have been heeded not only, as it was, by his own friends, but by the San Francisco "Language" poets, of whom I had met only Silliman--on a visit to the University of California at San Diego, where he was temporarily teaching--and Bob Perelman. A short while after, I would discover just how pernicious such a tightly organized community could be. In 1985, shortly after I moved to Los Angeles, I was asked by New Directions whether I might be interested in editing a book on "Language" writing. What they envisioned was a collection of poems by four or possibly five poets who would "represent" the larger "Language" scene. I had long considered a "Language" anthology myself, and had also been sent a proposal for such a collection by Ron Silliman; but I had backed away from my own project and Silliman's because I felt that it would delimit and narrow the issues surrounding "Language" writing if it was taken out of the context of American poetry in general. What I felt was needed was a larger anthology in the manner of Donald Allen's The New American Poetry incorporating the whole of contemporary innovative poetry; indeed I began work on such a volume, which was ultimately published as From the Other Side of the Century: A New American Poetry 1960-1990 by my press in 1994. Accordingly, I told New Directions that, although I understood the good intentions of their project, I could not edit an anthology with only five poets; since the aesthetic was far less important than the broad sense of community in "Language" writing, such a volume would misrepresent the issues and the poetry itself. After some further discussions, and their agreement to allow me to include several more poets, I decided to take on the project, feeling that a book by such a noted publishing house would help draw attention to the poetic values and achievements of my poet friends. There is no question that I was naive in my approach. In a telephone conversation with Barrett Watten I mentioned the anthology, presuming that it would be useful to get the word out to the San Francisco group. I was startled by his response: that he did not see any reason to have his poetry published in such an anthology, particularly since Ron Silliman was attempting to find a publisher for his own anthology. I'm a born pluralist; I believe in many voices, many realities. Accordingly, I wrote a letter to Barrett stating that I saw no problem with there being two--or possibly even more--anthologies published. Wouldn't it help the community as a whole to have a number of such publications? And certainly, I argued, my anthology would be a very different one from Ron's. First of all, mine would be more discrete, less inclusive, simply because New Directions did not want a large book. I saw no issue of "competition," and perceived no reason why one shouldn't want to be represented in both publications. A long letter from Ron Silliman soon arrived. The letter began with a seemingly reasoned voice, responding to comments I had made and statements of disagreement with viewpoints I had expressed about poetry in various writings. But the letter gradually transformed into a diatribe, an open attack, and a call to all "Language" poets not to participate in my anthology. Moreover, without even discussing it, Ron had Xeroxed my letter and with it mailed his to dozens of poets--in short anyone who might even possibly be considered for my anthology. I was, to put it mildly, nonplussed since I felt that I was attempting to do something for the good of the poetic community. After tears and a few hours of soul-searching, I decided that it would be a mistake to write another letter, for that would simply mean that I would be open to yet further abuse. I quietly called poets who I wanted to include, and spoke to them as friends. Many admitted they did not want to become involved in a battle between the two of us; but I reassured them that there was no battle, just Silliman's reaction, and that I was still planning to proceed with the book. Fortunately, reason prevailed. After making my selections of poems, I encouraged each poet to comment, recognizing that, with intense criticism already leveled against me, if I attempted to choose the poems myself, it would probably result in further dissatisfaction. As I continued working, I suddenly heard from New Directions that they had received word of what had occurred, and they now, despite a signed contract, threatened to cancel the title. I don't deal well with bullying, so I determined to move ahead with the project, and publish it myself if need be. Fortunately, friend and mentor Marjorie Perloff spoke to James Laughlin, and the book continued on its course. Months later, after everything had seemingly settled down, Susan Howe visited Los Angeles, and at a party at Dennis Phillips' reported that she had just been in San Francisco, where they were holding meetings in an attempt to decide "what to do about the Messerli anthology." At this point I could only perceive the affair as a comic event; what possibly could they do--block the highways so that the book could not be delivered to San Francisco? All but Ron had agreed to be in the volume, and their poems were about to be typeset. With her usual dramatic emphasis, Susan suggested that I had to do something about the situation that I had to respond. "I shall remain quiet," I insisted, breaking into an impassioned reply: "There is no arguing in such a situation; engaging in such a ridiculous discussion can only be an admission that there is something to be argued. I'm publishing an anthology that has nothing at all to do with Ron's own anthology, and I have no interest at all in attempting to define the canon. It merely represents an opportunity to present poetry that I think is worth reading in a context that might help elucidate it." There were obviously many who agreed with me. For after the publication of "Language" Poetries and Ron's larger In the American Tree (which, incidentally, Sun & Moon Press distributed), people began to resist identification as "Language" writers. As generally happens with such temporary "groupings," things disintegrate, and individual poets begin to see themselves less as part of a group than as individuals writing poetry; a few no longer write. *We know this, however, to be the history of poetic groups: the Imagists, the Vorticists, the Italian and Russian Futurists, the Surrealists, as well as other poetry groupings throughout the 20th century not only sought to exclude others, but saw poetry as a political and social dynamic of power--for good reasons [see my essay "The future of Poetry Publishing" in My Year 2007: To the Dogs].